– Capacity 750 pounds cargo. – Up to 5 passengers or 750 pounds. – We service over 100 remote lake and rivers in the Talkeetna, Susitna Valley, Anchorage, and the Alaska Range. 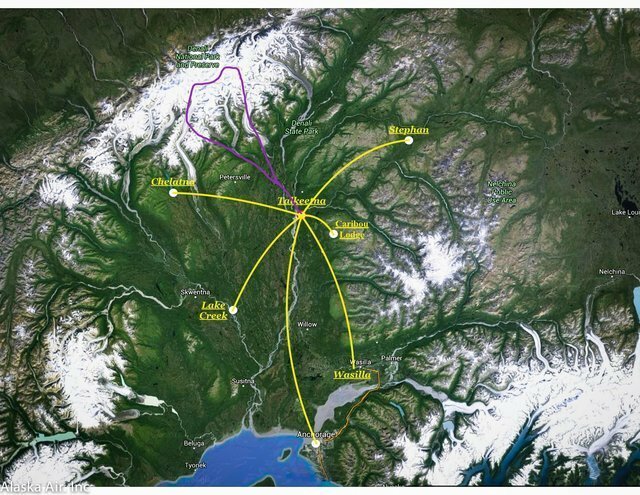 Aircrafts weight restriction is based on departing out of our base in Talkeetna. Your weight requirement my change depending on what lake you are departing. Give us a call at (907)-733-1693 if you need any more info.